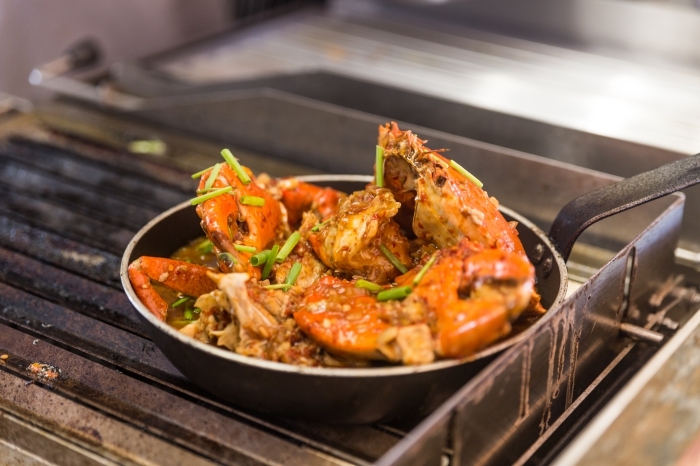 Soneva Jani has unveiled the latest addition to its culinary offerings, the Crab Shack. 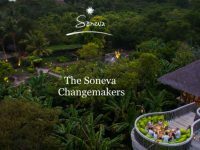 The 32 cover restaurant and 14 seat bar is located on Soneva Jani’s southwest beach, on the opposite side of the island to Cinema Paradiso, and is comprised of two levels. 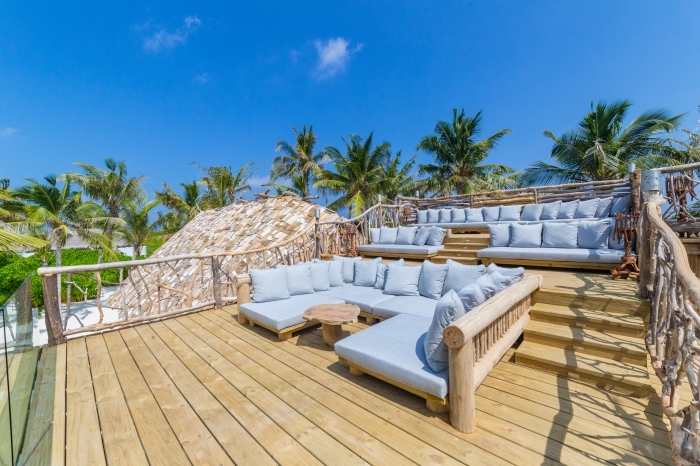 The ground floor is taken up by the restaurant, kitchen and bar area, with the first floor deck designed especially for guests to relax on tiered daybeds and enjoy the Maldivian sunsets while sipping on rosé wine or other beverages. 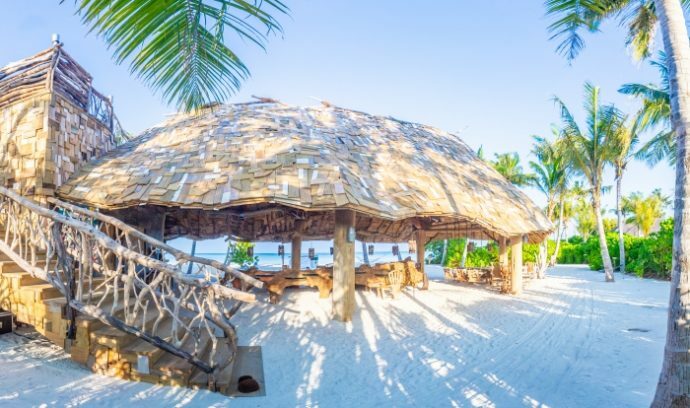 The design of the restaurant and bar uses reclaimed wood and driftwood timber to offer guests a rustic shack experience, while also giving a nod to how Maldivian’s traditionally built their homes before they had conventional building materials. 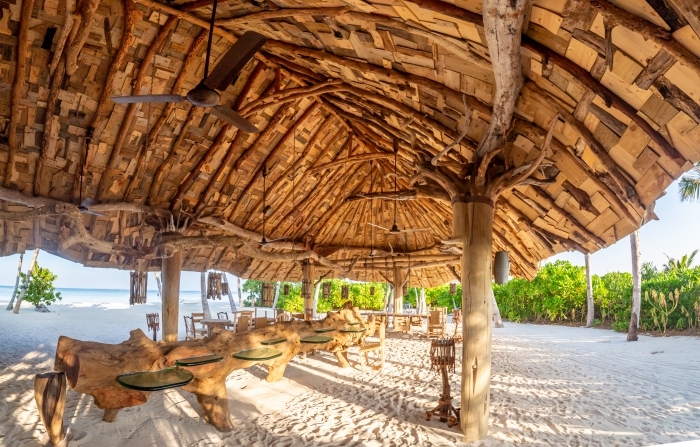 Diners will sit around repurposed tree trunk logs that incorporate recycled glass plate supports and reclaimed barrels. There is a central communal table, while around this there are tables of four, which can all be rearranged depending on party numbers. The main support pillars are made out of entire tree trunks.